Sweaters are pretty cool. They, of course, keep us protected from those nasty elements. They also let other people know that it is Christmas or who our favorite football team is. If your name is Bill Cosby, they also serve as a daily reminder to the rest of the world just how cool you are. The only downside? Sweaters tend to be low on the technology spectrum, and thus are fairly boring and pedestrian frocks. Some companies have been toying with tech-heavy sweaters but there hasn’t been anything too innovative, until now. Yeah. Here is a sweater that reads your mood and acts accordingly. It may not work similarly to its cousin the 1970s mood ring, but its still pretty groovy. 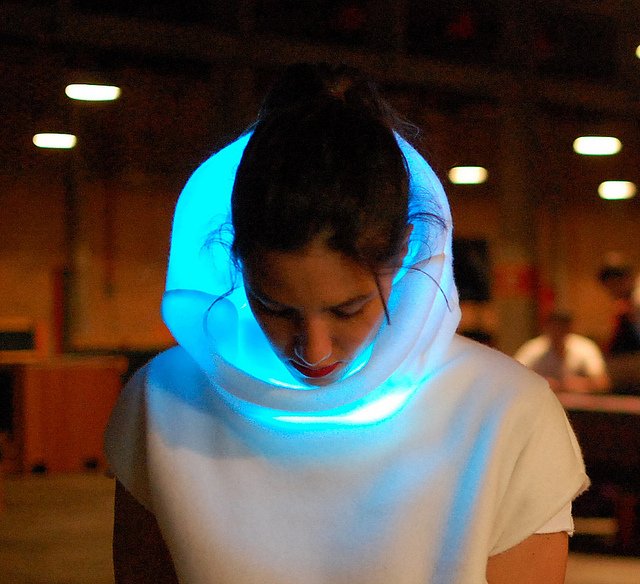 The Sensoree Mood Sweater is packed to the gills with LED lights that, in turn, are packed to the gills with microprocessors and sensors. The sensors use minute shifts in your heart rate to sense what mood you are feeling at that moment. The lights then go into action according to how you are feeling. 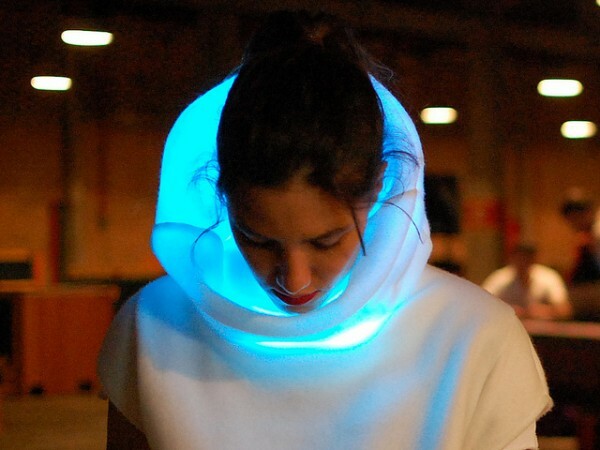 For instance, the sweater lights up blue if you are feeling, well, blue. Now you don’t have to every answer the dreaded “how are you feeling” question ever again. The sweater will do your complaining for you. Aint technology grand? The Sensoree isn’t out yet but its creators say they’ll be ready to ship in March of next year. Speaking of shipping, they are only making 100 of these so if you want one you had better preorder now. Also, in case moody sweaters aren’t your bag, we hear therapy works too.